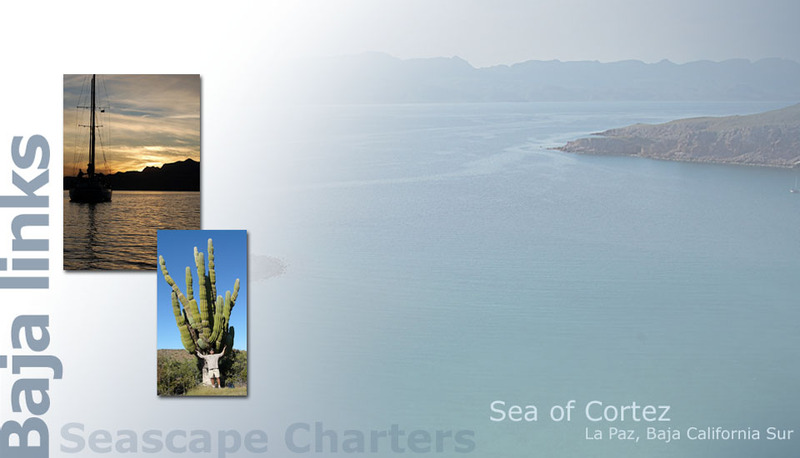 Of the many links for La Paz, Baja, Sea of Cortez and sailing, these are our favorites and we hope they will enhance the pleasure of your charter. Most of them provide additional links about the Baja peninsula. really works at keeping it current. We recommend subscribing. Its free. La Paz. They sponsor a club house, rallies, dinners and a foundation with a breakfast program for underprivileged children in the barrios. Lots of information and some good links. Tom has added the photos of the sea lion in the kayak that we sent him from a charter we booked in January 2007 from Australia.